Sometimes, even the best laid plans don’t work out. For me this time, it involved an hour and a half drive up to the Sunshine Coast, a no-show sail boat followed by close to 4 more hours in the car to a plan b! But hey, sometimes that’s when magic happens, right? After the sail boat cruise we had booked lost our bookings and didn’t show, Scott, Tyla and I put our heads together over breakfast to come up with an alternative way to spend the day. It was gorgeously sunny and the perfect day to spend exploring so we didn’t want to waste it! 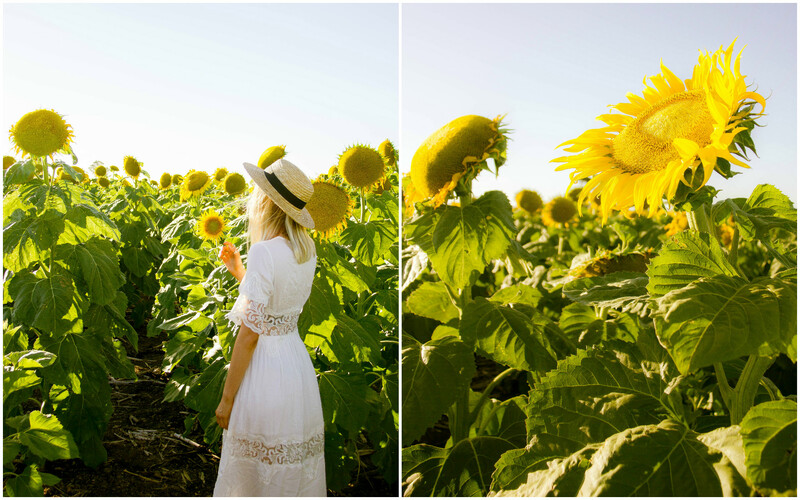 We decided to pack up and head south, to pay a visit to the sunflower fields out near Warick. 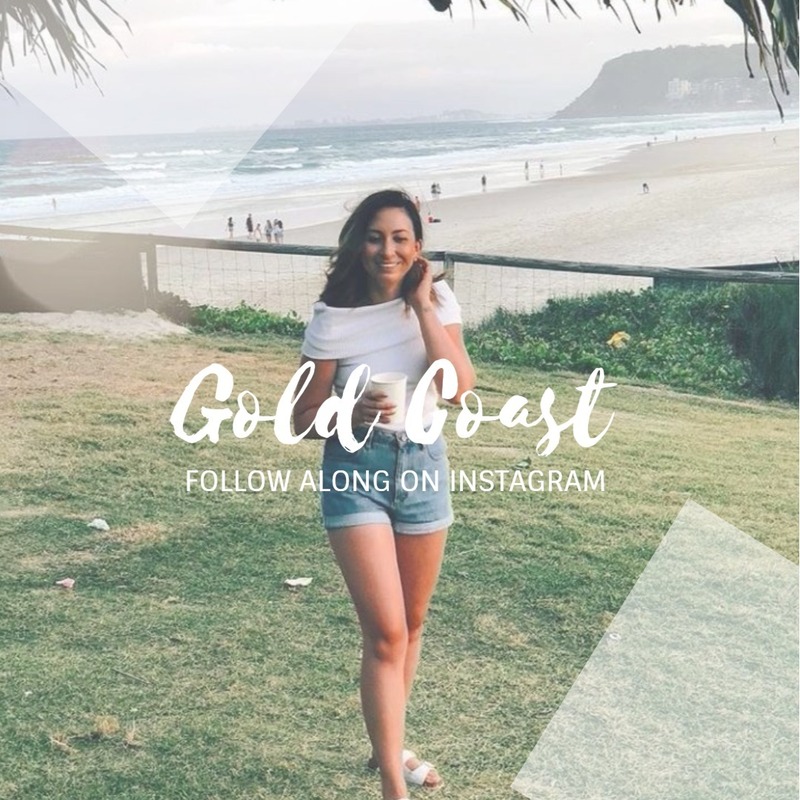 It was going to be quite the trip from the Sunny Coast but we had the entire day and a tank full of gas so we committed to the drive. 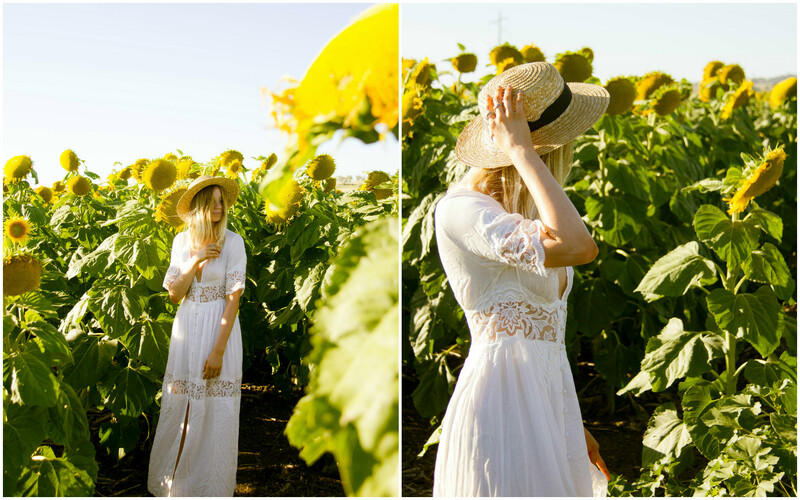 Finding the sunflowers was the next hurdle for us. Following the Cunningham Highway to Willowvale, we arrived at the intersection on the New England Highway. Right there is where we found a couple of fields with easy road access, but we thought we’d try our luck at finding some others! We pushed on further to the tiny town of Allora and hooked onto Route 11: Sunflower Route. 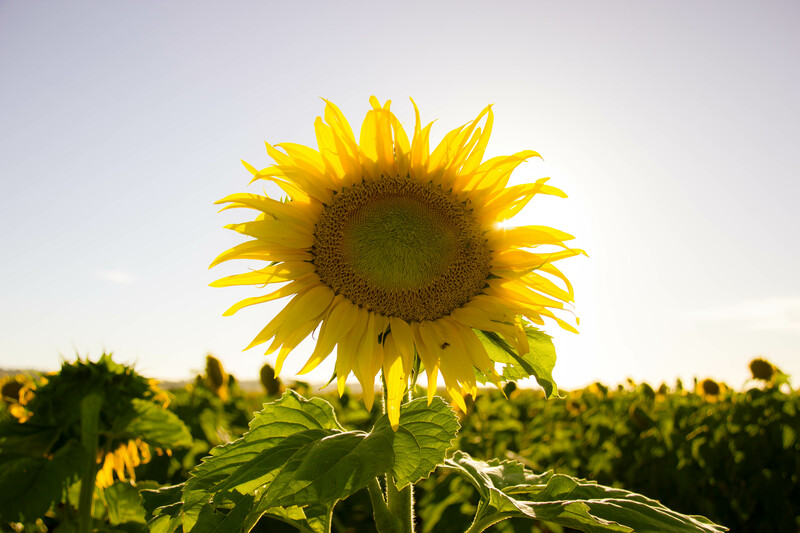 A little misleading in it’s title, this 50km round trip takes you on a scenic drive through the countryside, past patchwork fields, grazing crops and cattle before passing through Warick. 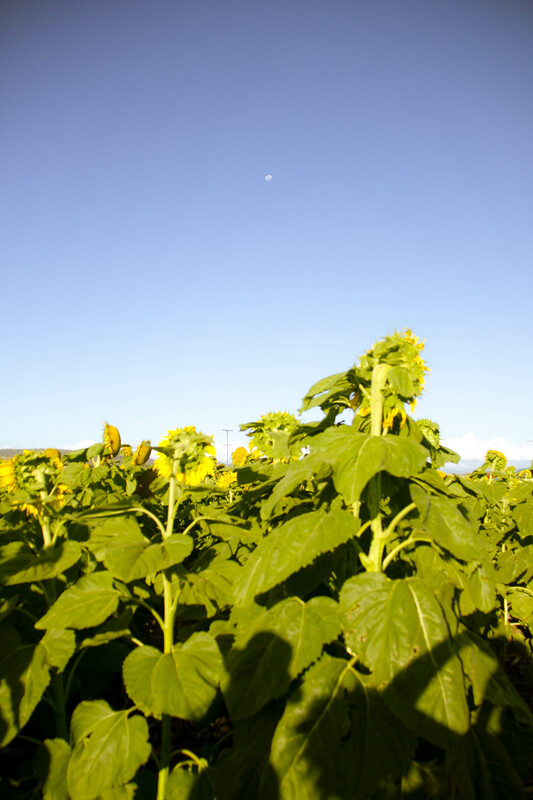 The sunflowers appeared to be along the one part of the route – the place where we started! So after admiring the passing landscapes and adjusting our course, we pulled the car over, jumped out and explored amongst the dazzling faces. Now much later in the afternoon, it ended up being the perfect time of day to visit, as the summer sun can be quite fierce out there. 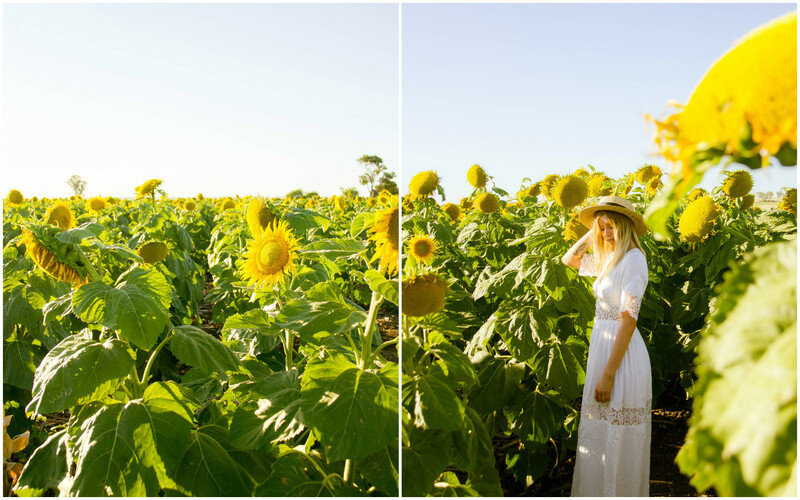 We danced amongst the sunny crop as the sun slowly sunk, letting a gorgeous warm light filter through the stems and leaves and falling on our faces. 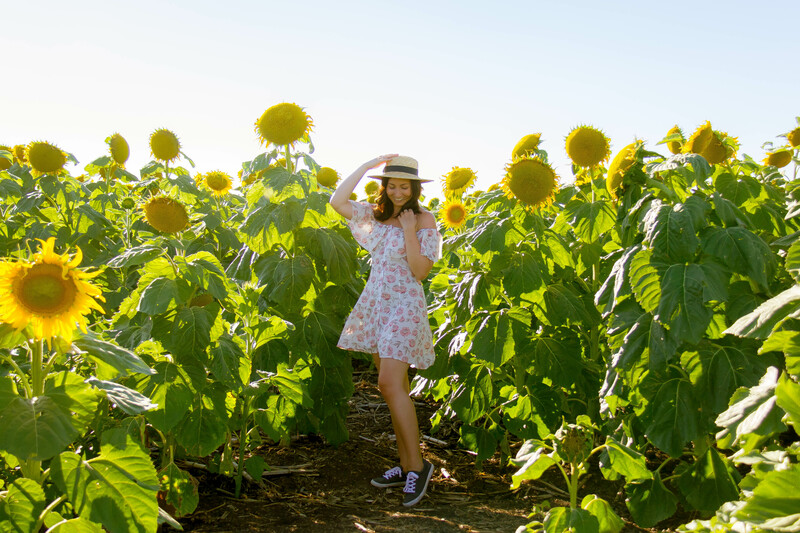 These sunflowers are quite the spectacle, and if a visit is on your mind be sure to plan your trip. 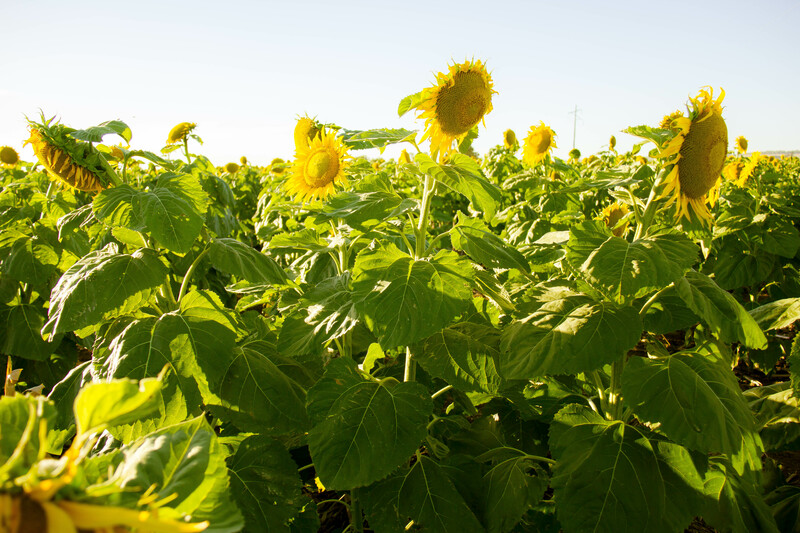 From late January through to March these gorgeous giants are in full bloom, depending on the rainfall. 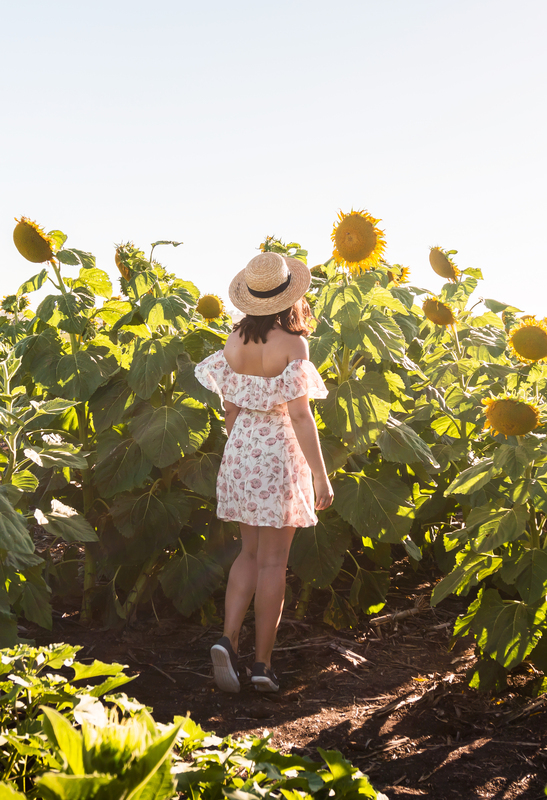 I’d also suggest taking a drive along Route 11 as it takes you through some rather scenic countryside and allows you to stop in at Allora (it’s a charming little town and worth stopping for a picnic lunch and stretching your legs). 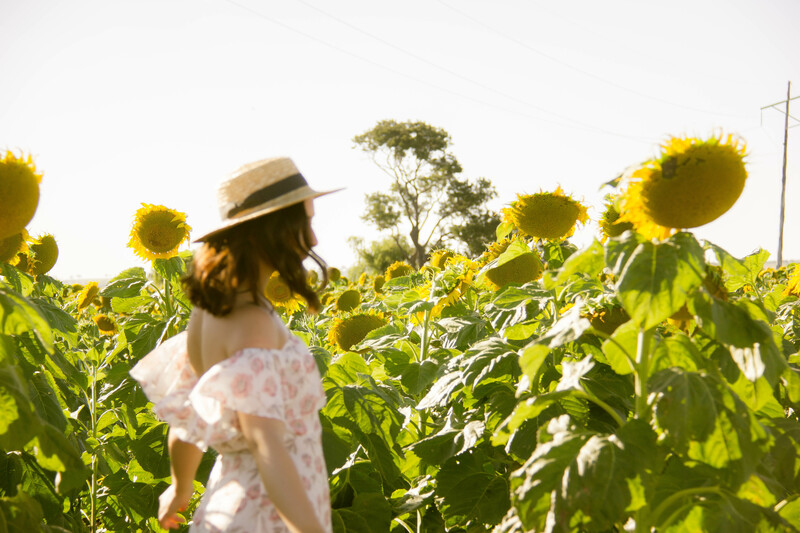 When visiting the sunflowers, be sure to respect the farmers and their crop. Love the message of making lemonade out of lemons! And I can totally relate to your hunt for flower fields; last year we were in the Netherlands searching for the best tulip fields. It’s so amazing when you find them! Beautiful photos! Thanks Kelly! 🙂 It can be disappointing when plans don’t…go to plan – but if you can find another option and laugh about how it all went wrong, all the better! Seeing the tulip fields would have been incredible! I’m yet to make it to the Netherlands but hope to one day.